I know that people are trying to be helpful but it really isn’t when they send articles to me about how unsafe La Paz is for a solo female traveler…days before I head to this place…by myself. Well at least the plane ride is beautiful coming in but I am definitely feeling uneasy. I wish that it could be attributed to the elevation (11,975 feet ~ 3,650 M) but I think all those articles have really gotten to me. And my day is about to get worse as I somehow forgot about the visitor visa that I am required to have as an American (so atypical for me)! Good news is that I am able to get one upon entry at the airport but the bad news is that the $160.00 (USD) has to be paid in cash and there are no functioning ATMs. I hadn’t planned on using so much cash in Ecuador but I luckily had enough left over…in various hiding spots so I have to take apart my luggage to get the money. I think the airport agents just feel bad for me at this point and advise me against taking a cab for the expense and because I am solo and tell me how easy it is to take a minibus into the city. I am glad they had given me that advice because so many of the horror stories centered around illegal taxis. It is always a good idea to learn what an official cab looks like in any city that you are in but I am very paranoid about it now and none of the cabs at the airport are legal. I realize I am not sure what stop I am supposed to get off and end up asking a really nice lady who helps me out and even offers to walk with me. I decline her offer but am warned by her about the dangers of La Paz for me being solo. And then I find out my buddy I am supposed to be doing the Death Road with won’t be coming to La Paz until the end of the week (and I’ll be on my Uyuni tour then). 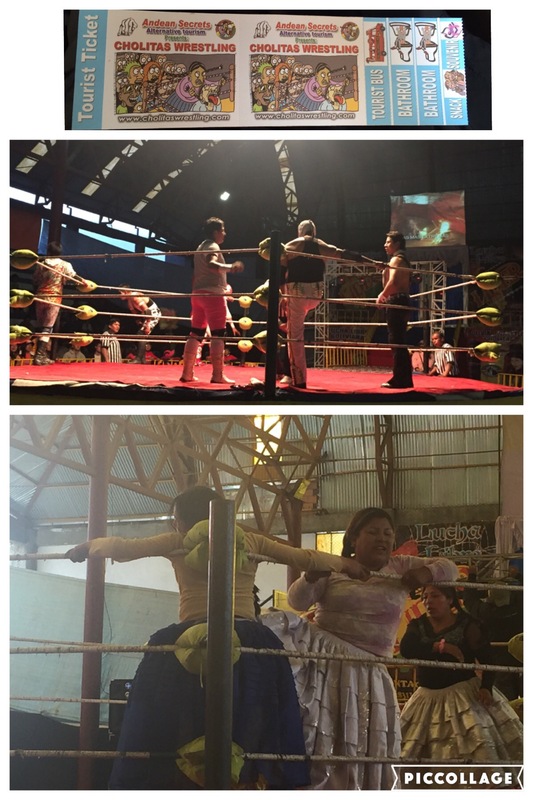 Cholitas and Lucha libre wrestling: It was definitely an experience – with both the tourist and home crowds getting really involved into the event. It was a bit ridiculous but isn’t that the point?! 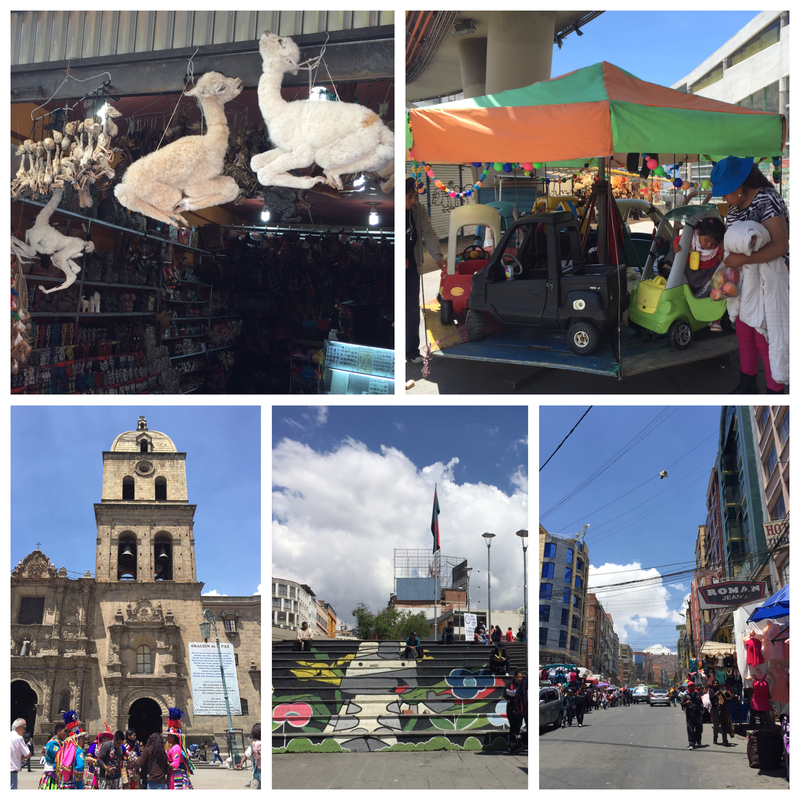 Ok I realize that I don’t want to stay longer in La Paz and won’t have enough time to go to Sucre and Potosi. But as I will have enough time to take the 4 hour bus ride up to Lake Titicaca and spend some time in Copacabana so I book my tickets and head out. I definitely made the right decision to come here T: The view from my 50 bolivianos (or $7.25 USD) hotel room BL & BR: I ended up spending more on dinner than a place to stay (65 bolivianos) but the view and the pie was worth it! So glad I took the waiter’s suggestion and wish I would have remembered earlier that limon can be either lime or lemon because how many delicious lime pies did I miss out on?! Ok I have really become stupid in Bolivia and have a misunderstanding about when the boats leave for Isla del Sol in the morning so I decide to explore around town and find some BL: cool and BR: romantic graffiti. 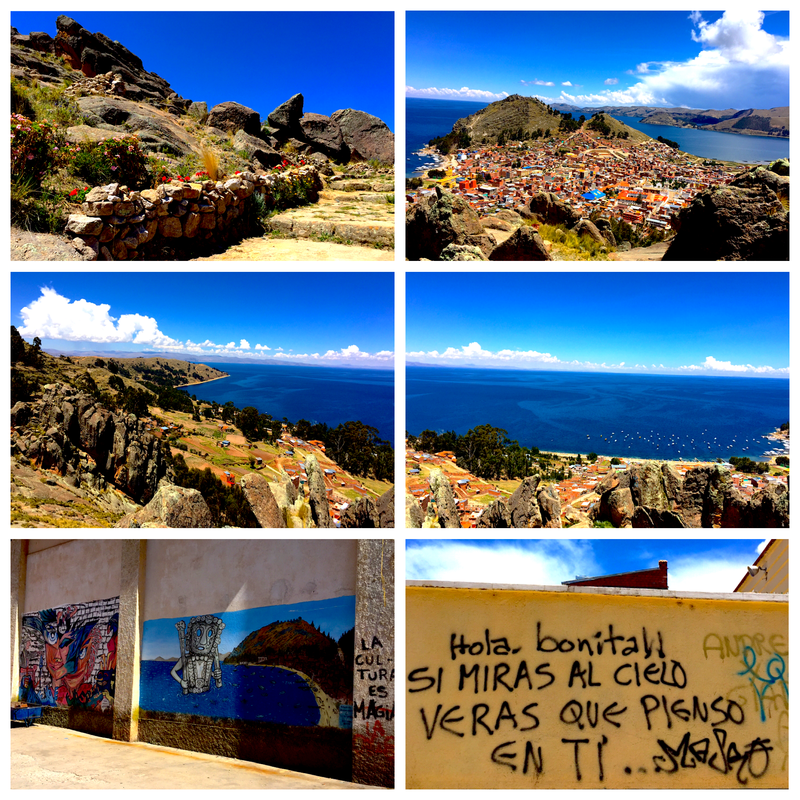 I decide the elevation of 12,602 ft (3,841 m) is not enough and hike up to see some Incan ruins (TL) and am rewarded with spectacular views (TR/ML/MR: Overlooking Copacabana & Lake Titicaca) and also go to visit the Basilica. As I am debating if I want to go to the isla for only a few hours, I strike up a conversation with a Brit and decide to stay and continue exploring the town. We end up stumbling across this (TL) super cute Eco-lodge/cafe and (TR) spending the afternoon relaxing in hammocks. The walk along the shore of the lake is beautiful (ML/MR) and end up just talking the day away. He had been told about a place that serves (BL) trout sushi and try it out for dinner – it wasn’t too shabby. But definitely not as delicious as the freshly caught trout that we would have for lunch the next day before I have to leave. 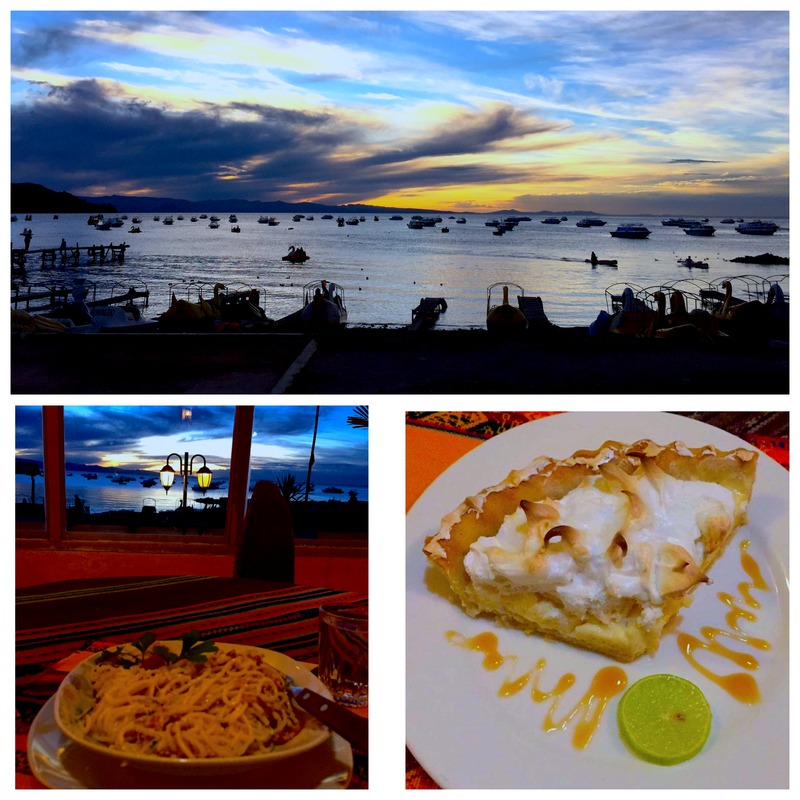 I hadn’t planned on going to Lake Titicaca because I had heard from so many friends that they hadn’t liked…but I really enjoyed my time in Copacabana and the sunsets there were insane (photo above). My bus is scheduled to leave at 1 with an arrival in La Paz at 5. I will then catch my overnight bus to Uyuni at 9 but the weather/road closures and construction issues first cause a delay in departure then push the journey to 6+ hours…but (photo above) the universe reminds me that after rain, the sun will come out again and if you look, there are often rainbows…and I make it into the city at 8:18 pm. So I am worried that perhaps with La Paz that it was the reverse type of “manifest destiny” or a self fulfilling prophecy but I know that I didn’t look at only the negatives there. Sometime even an optimist may not like a place and it’s not necessarily a reflection on that person and place ~ La Paz just wasn’t for me. I guess it’s like the fact that I won’t get along with every single person I meet. Travel isn’t just about the beautiful things but also can make (I would argue should make) you uncomfortable and even stupid at moments but those are the opportunities to grow, to change, to be enlightened. I think that humans are not static but constantly evolving creatures looking to improve ourselves. Oh there’s that optimistic spirit again! 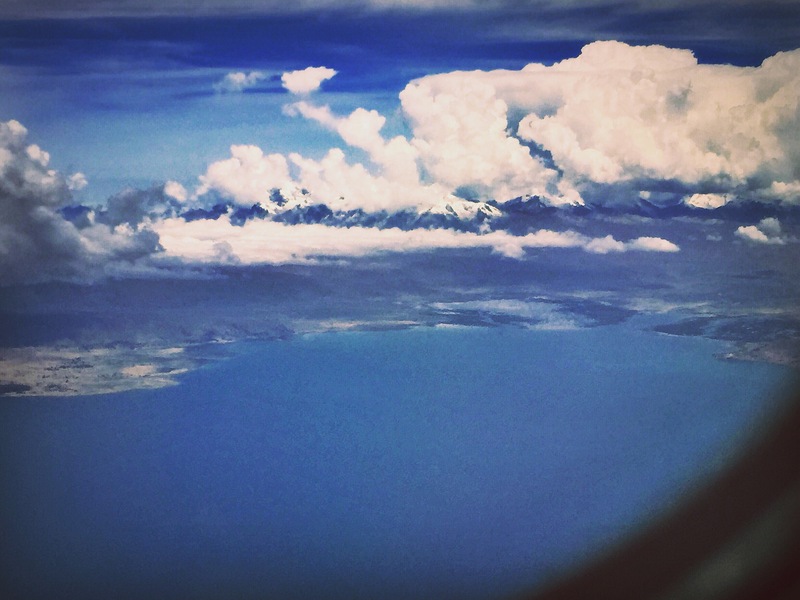 And good, right in time for what I came to Bolivia for…Uyuni! I personally loved La Paz, but I’m a guy and I speak Spanish. 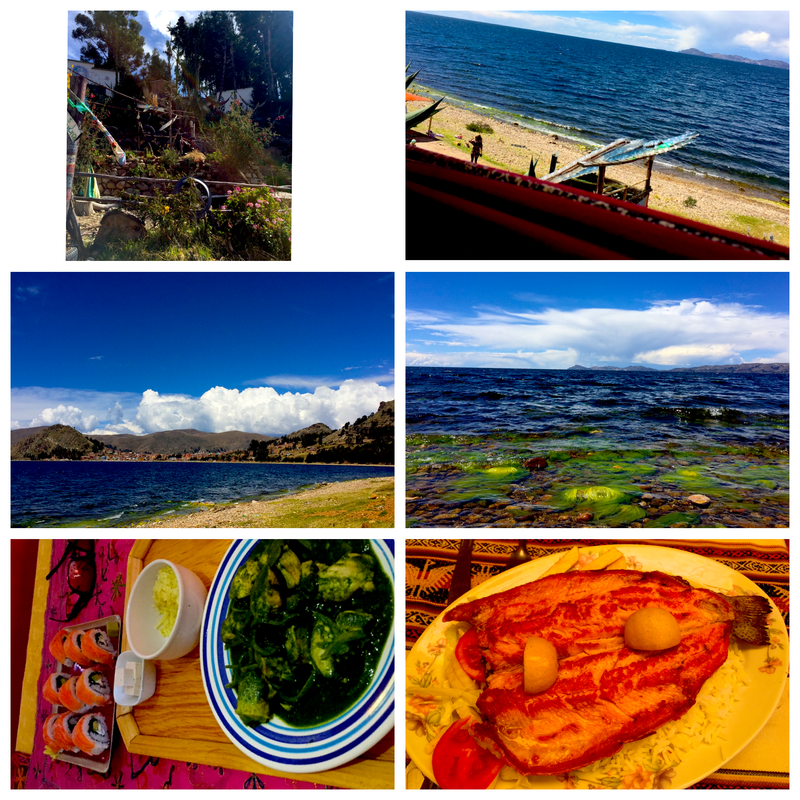 I certainly agree that Lake Titicaca is very charming and often overlooked by those in a rush to Uyuni. I was lucky in one sense that I got to see more of Bolivia last year when I couldn’t go to Uyuni due to a miners’ strike and blockade in Potosi. It meant I saw Lake Titicaca, Death Road, La Paz and the Amazon instead. Still hoping to get to Uyuni this year. Btw, Hostal Ananay in Calle Jaen is really nice in La Paz. Reasonable price in the oldest alley in the town. Five Museums, cobblestones and the hotel itself is a converted colonial building. The area is not as rough around the edges as Sagarnaga etc. Thanks for your reply. It’s great to get feedback from people on the road. I’m still trying to figure out if I’ll go back to Bolivia to see the places I couldn’t see last or up to Ecuador to visit new places. Still have a longing to see Uyuni, so it’s great to get your feedback.